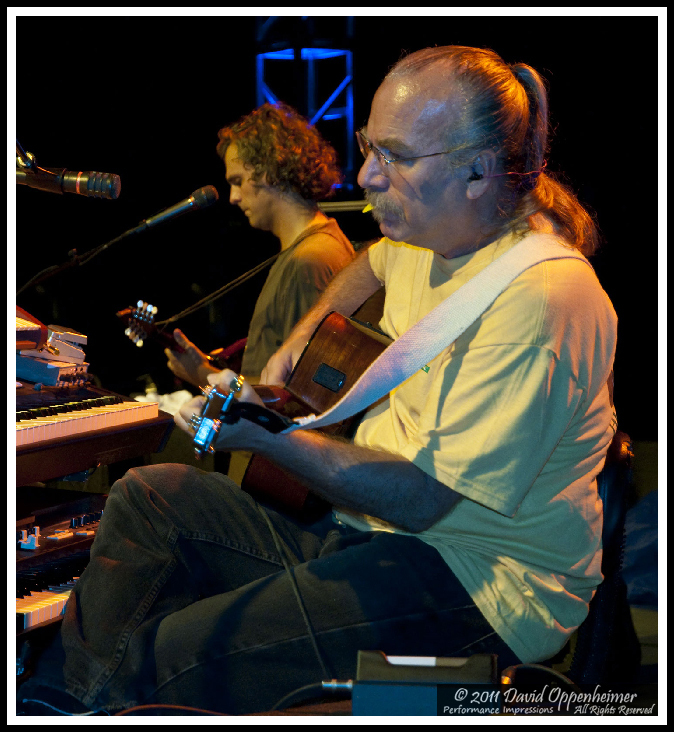 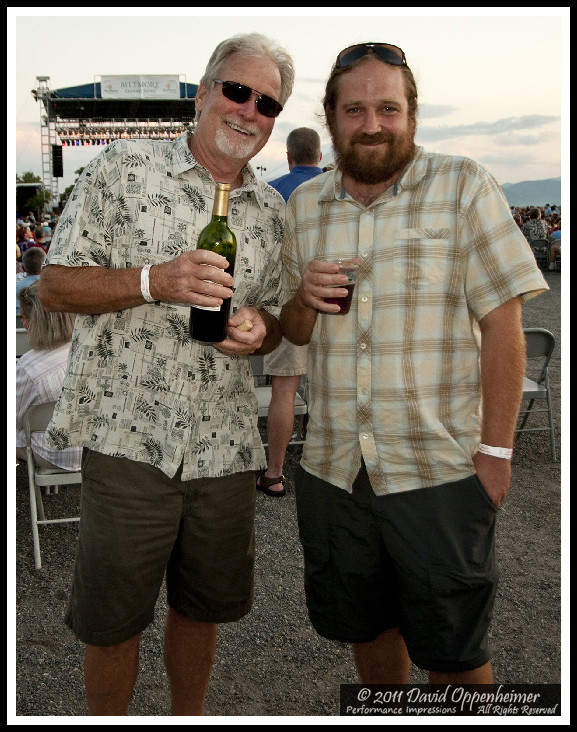 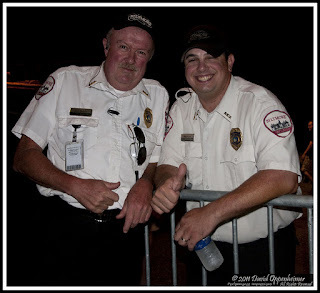 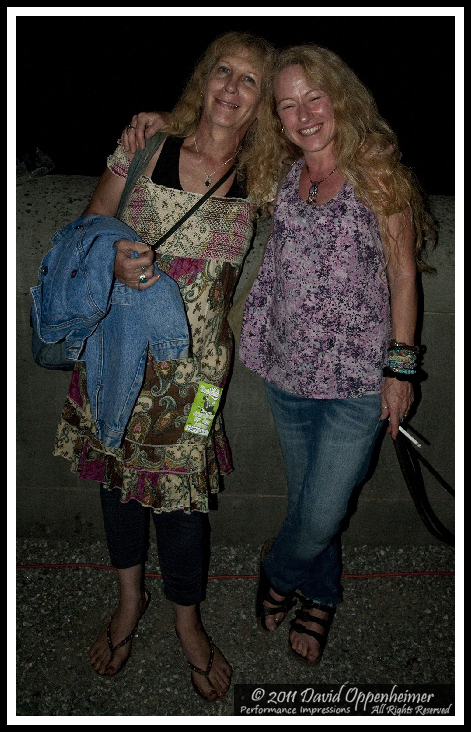 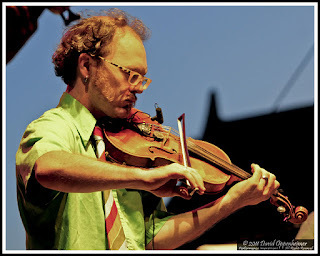 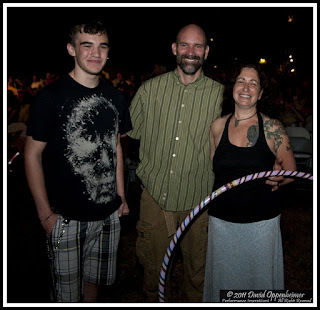 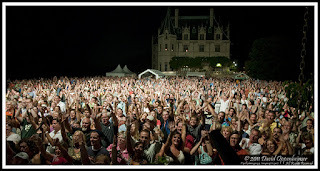 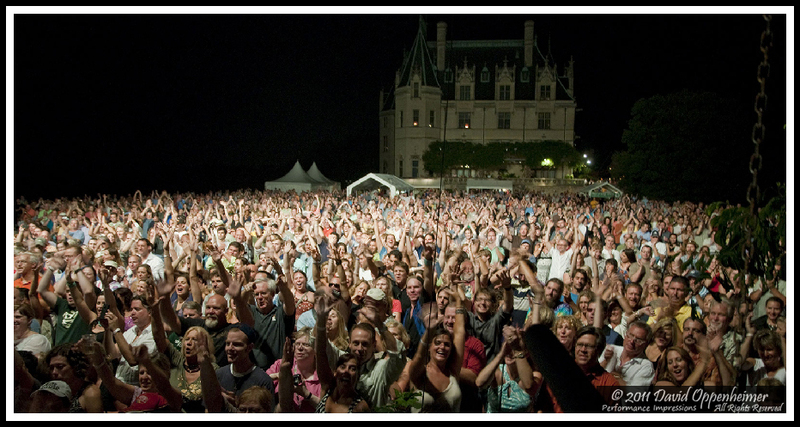 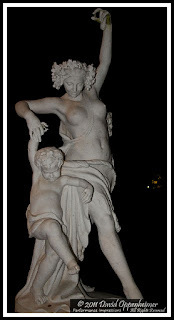 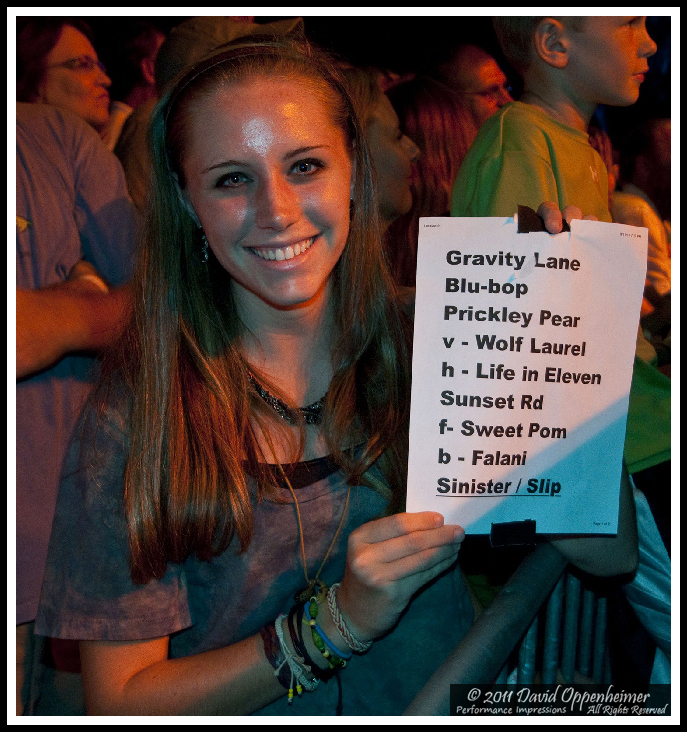 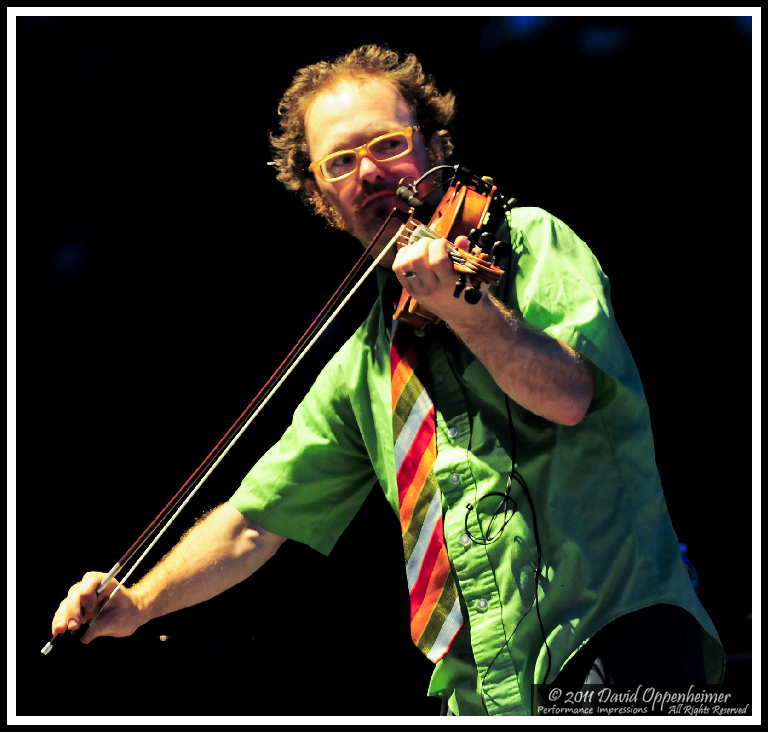 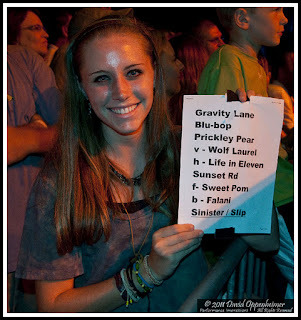 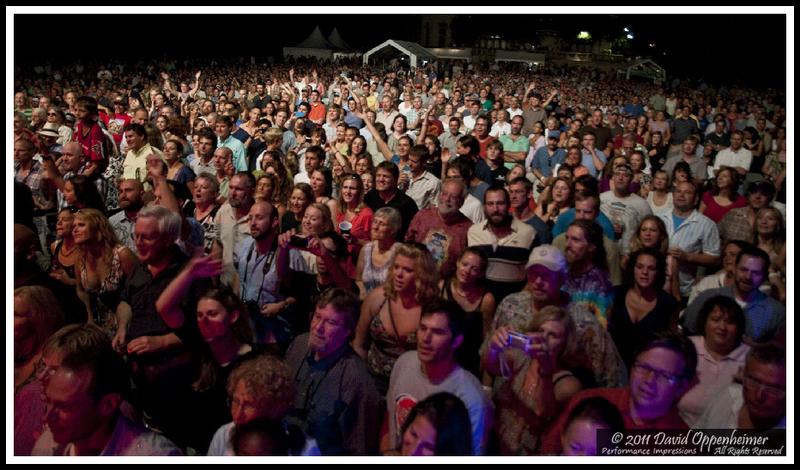 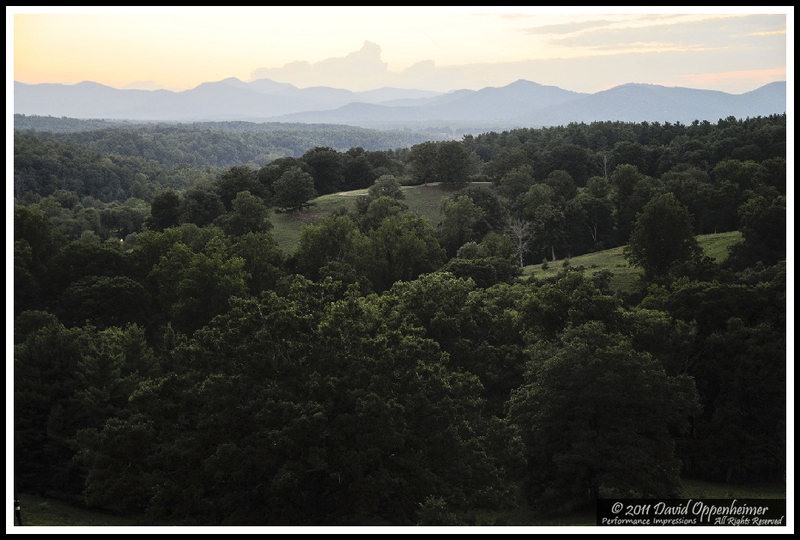 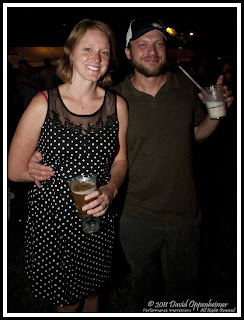 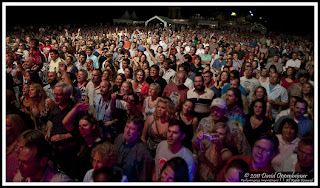 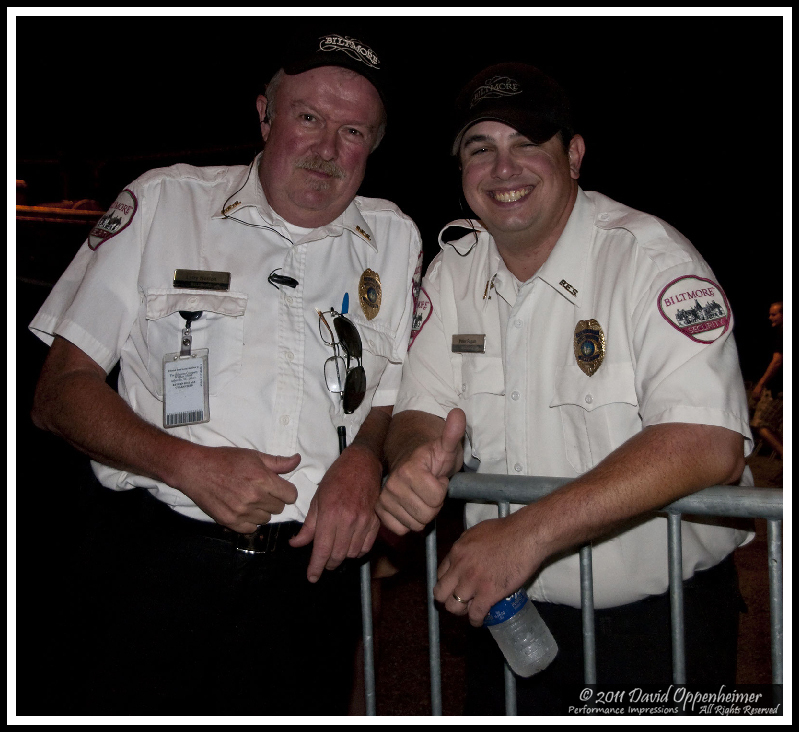 The Biltmore Estate in Asheville, North Carolina offers an annual outdoor concert series. 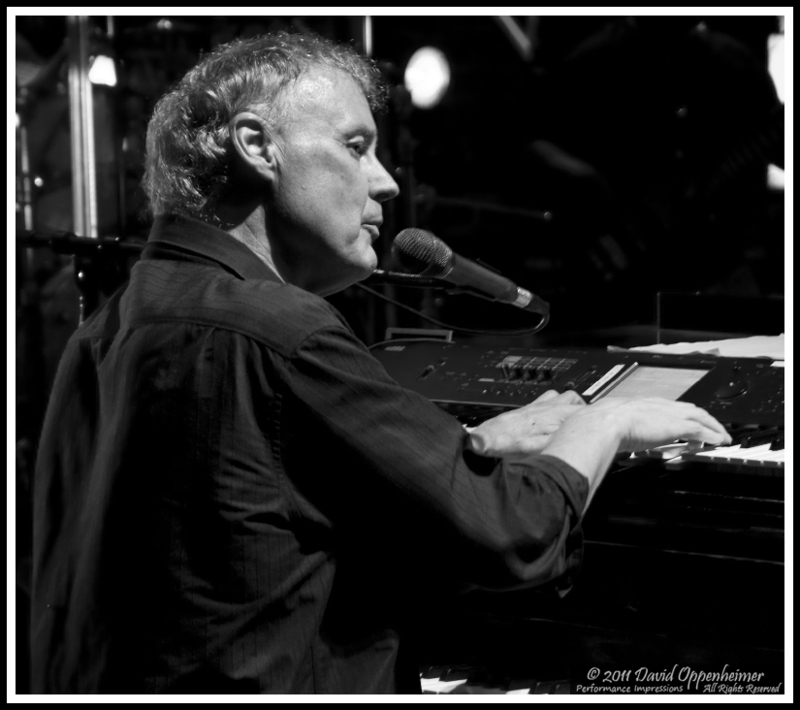 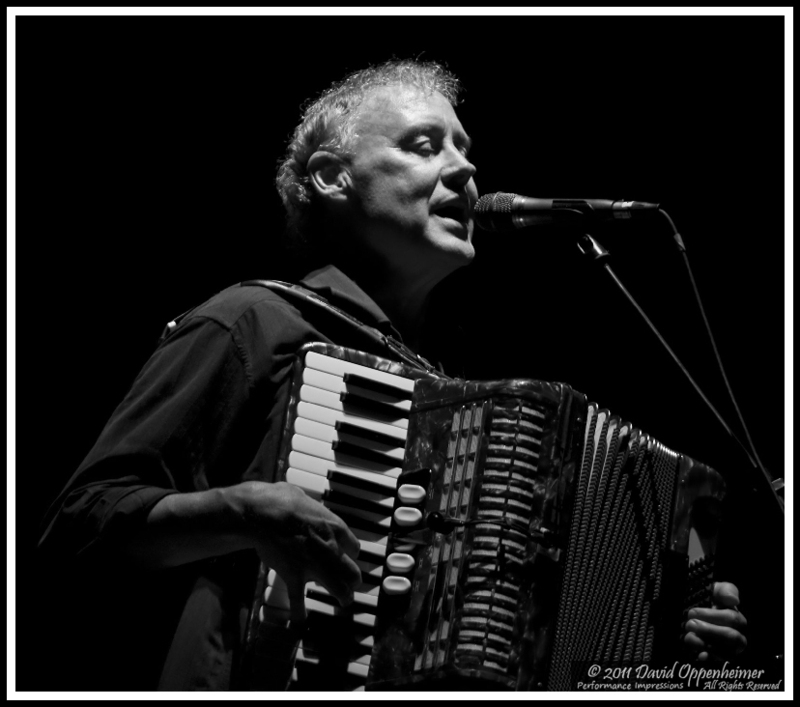 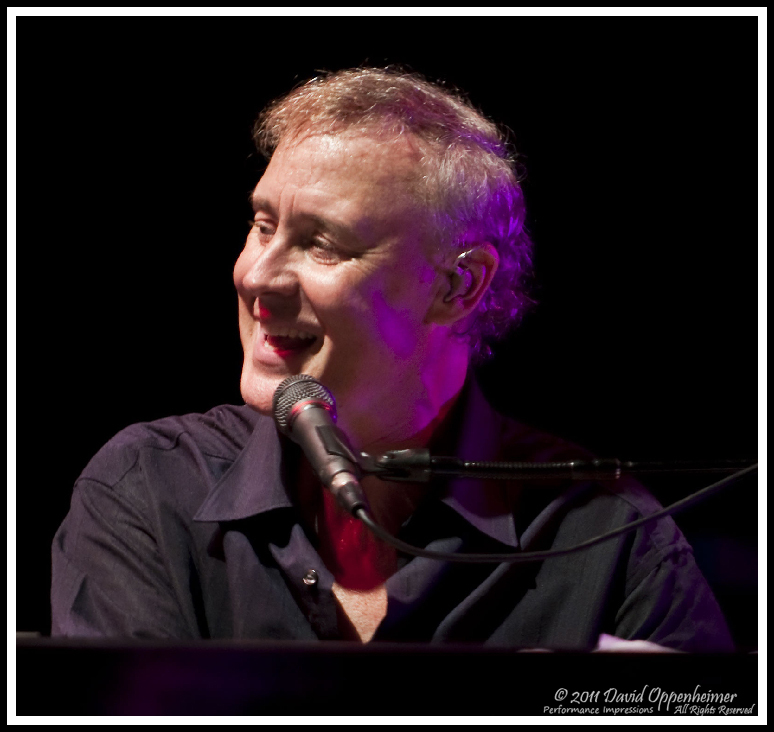 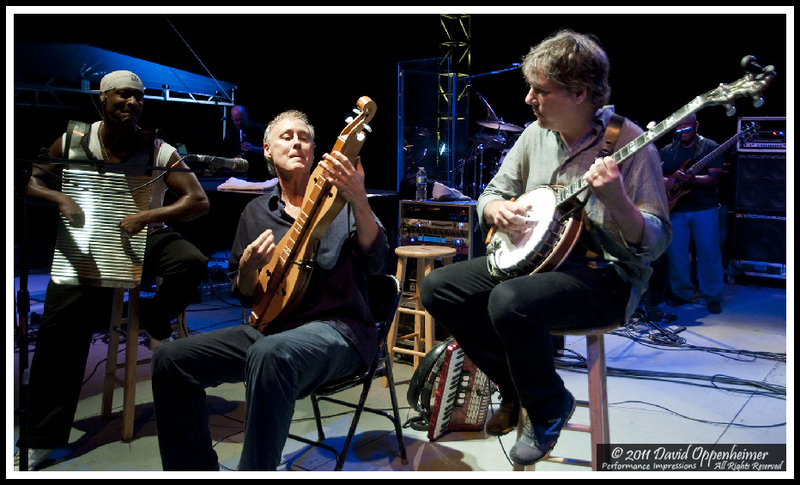 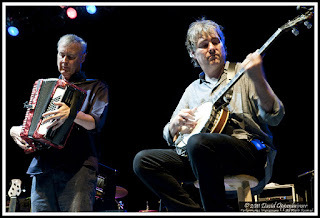 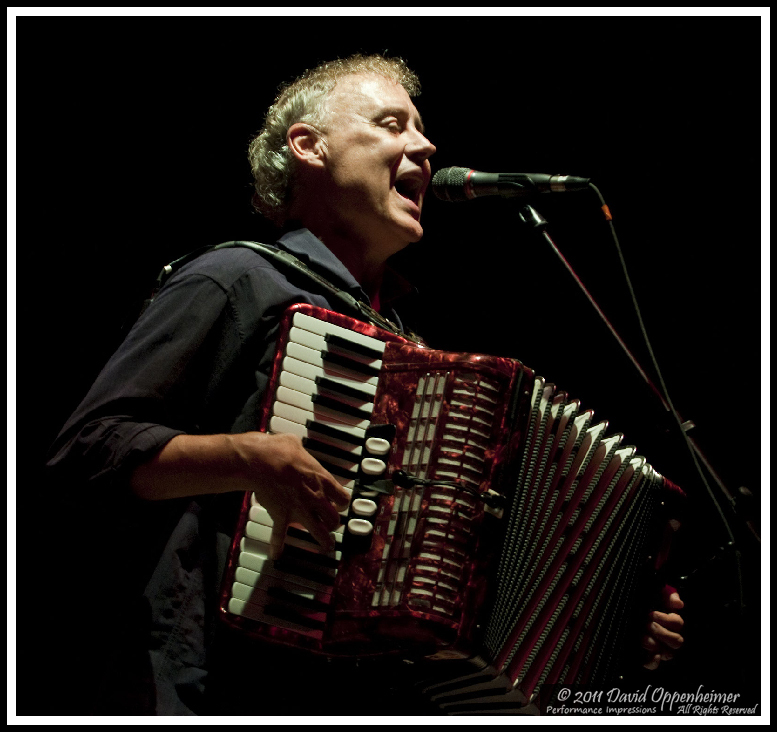 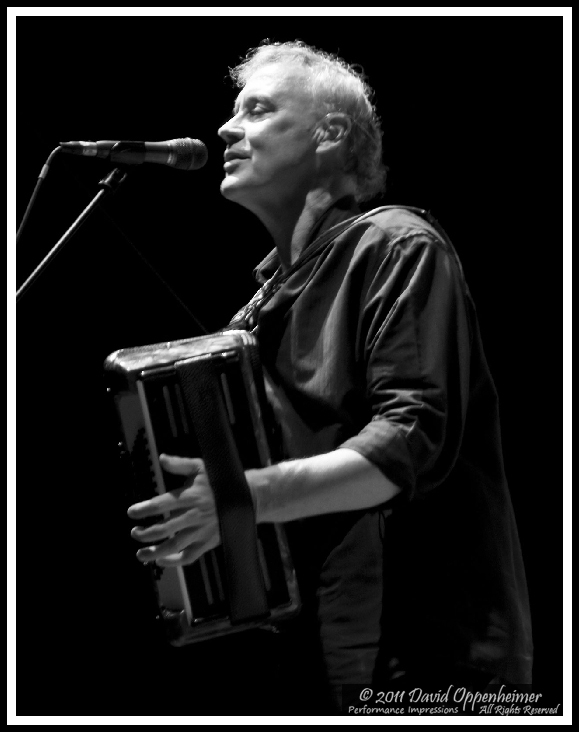 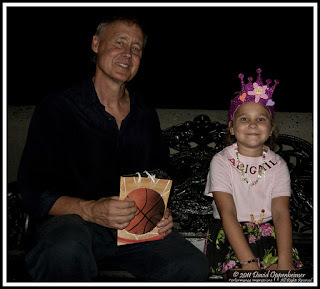 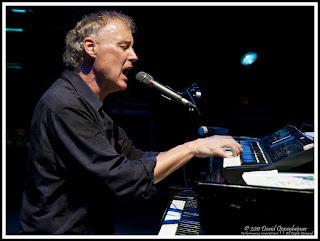 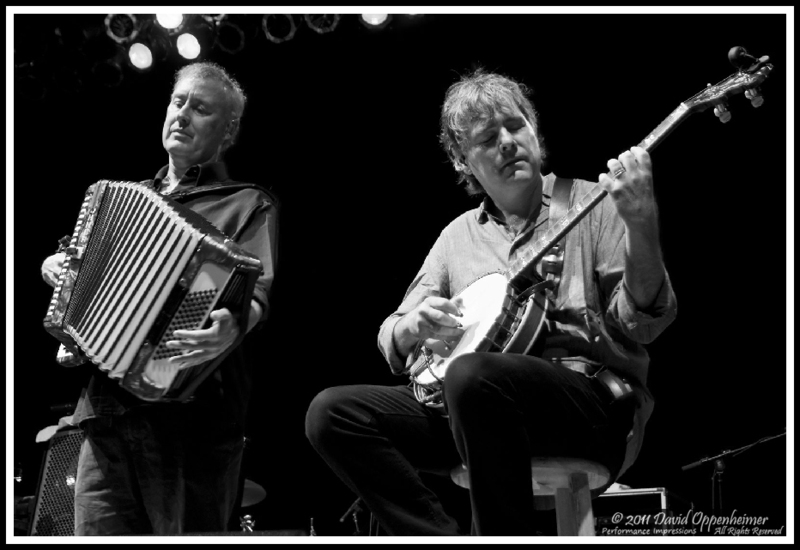 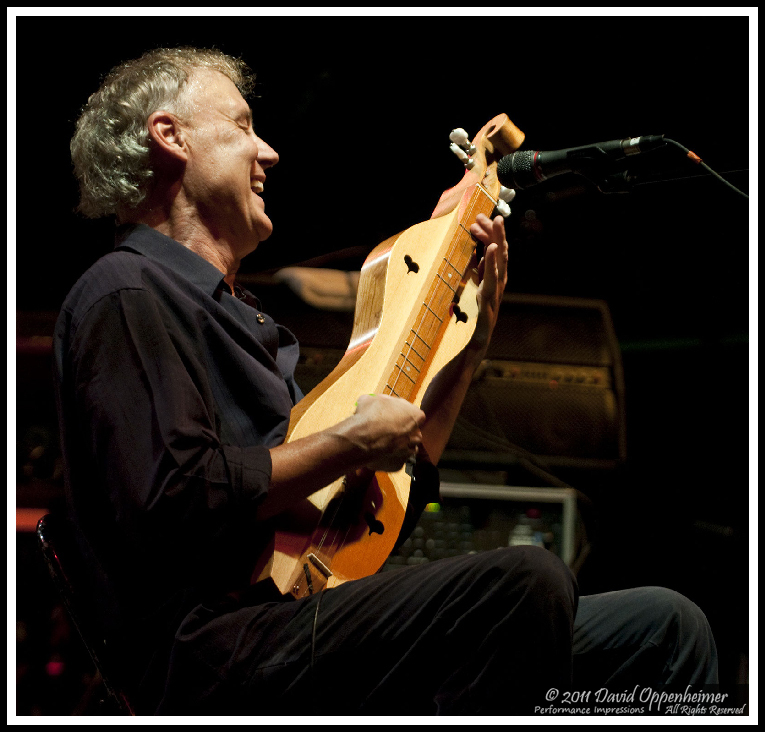 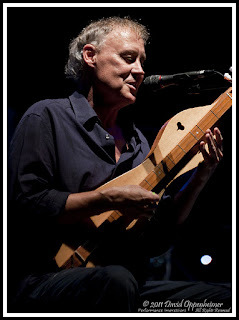 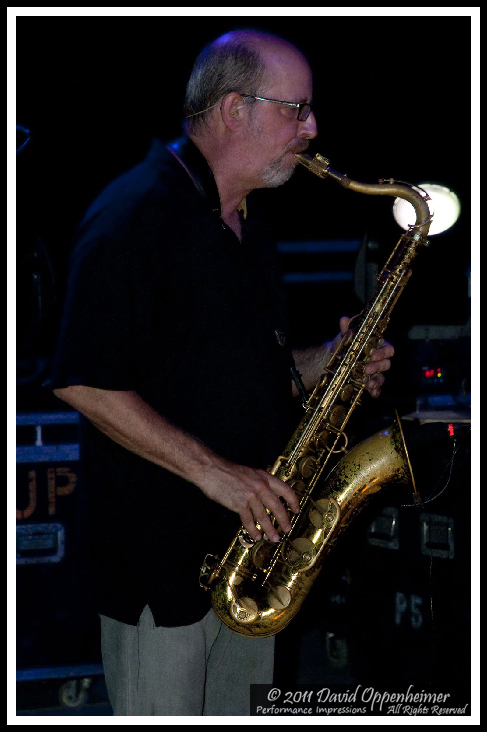 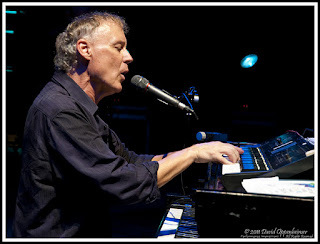 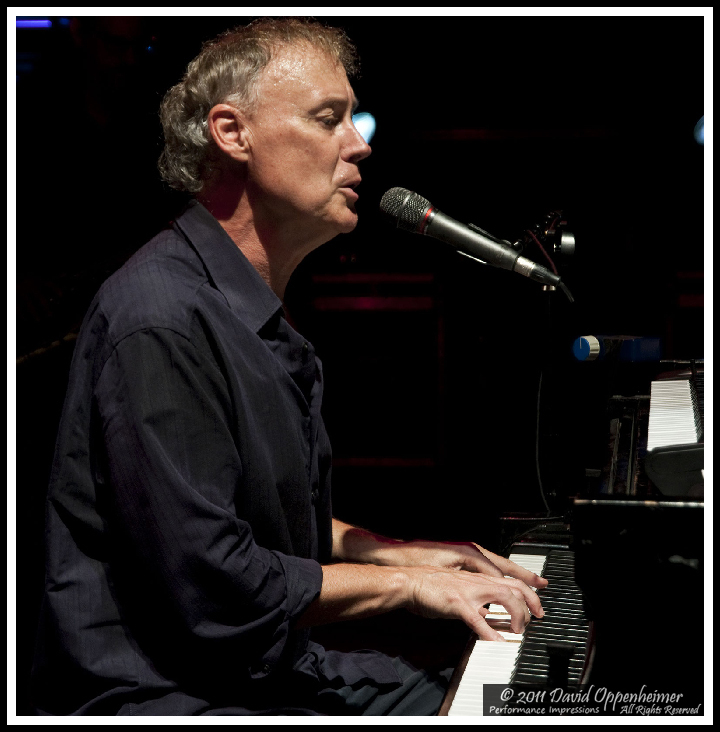 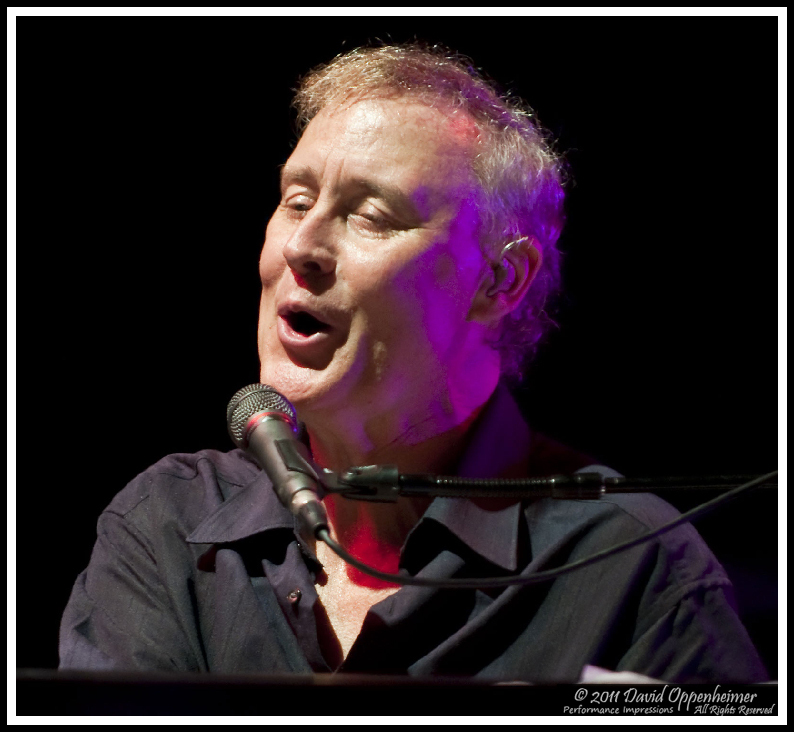 What has become a tradition for Bruce Hornsby, he returned on August 11 this year with his band the Noisemakers along with Béla Fleck and the Flecktones. 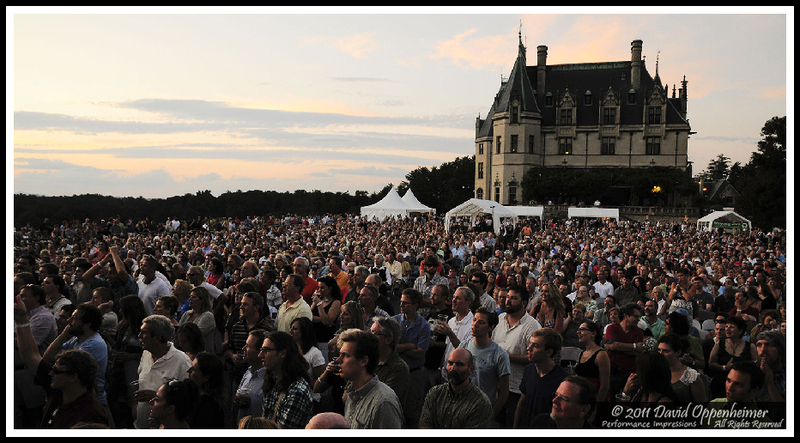 Centered in the 8000 acre estate, the side courtyard of The Biltmore House is a picturesque setting to hold a summer evening concert. 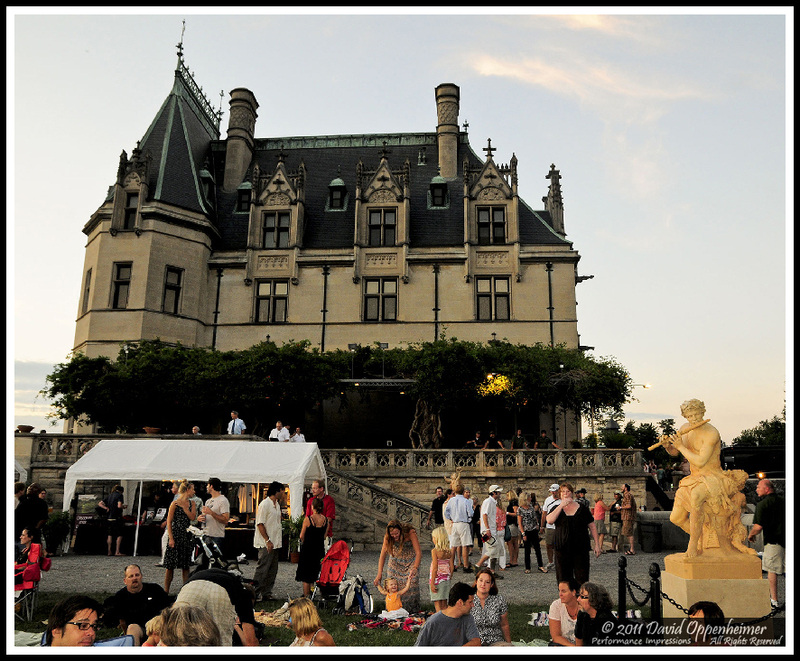 With perfect weather and great sunset views, music engulfed the night with full performances by both bands. 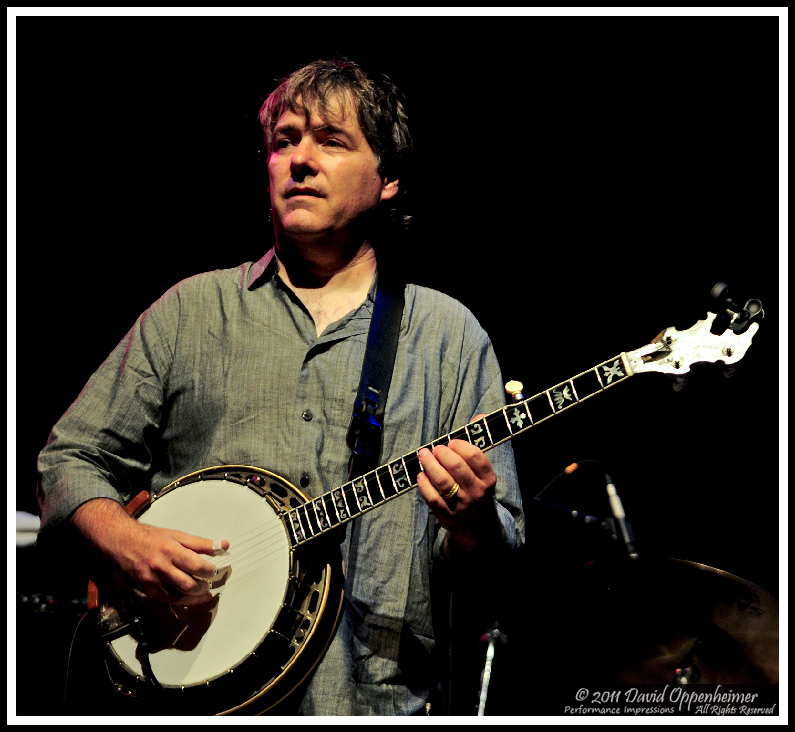 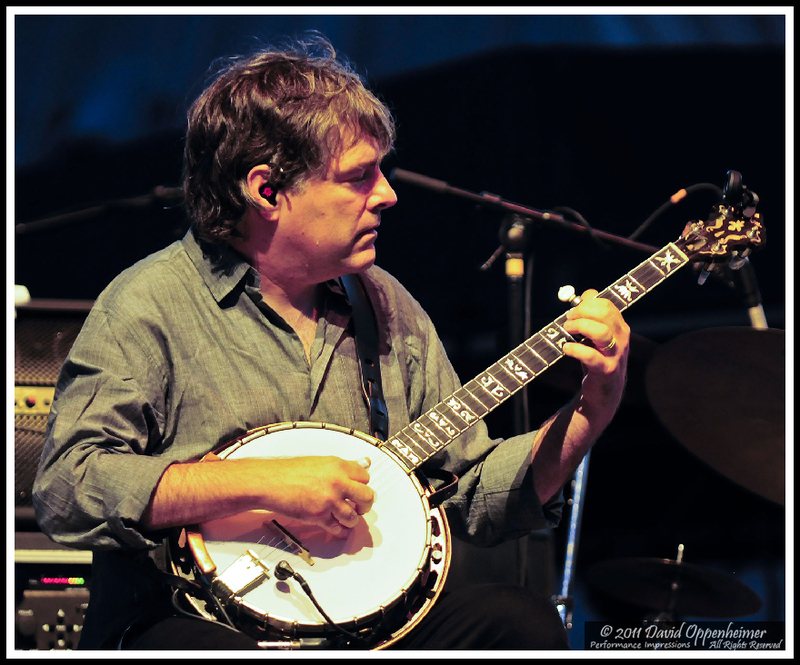 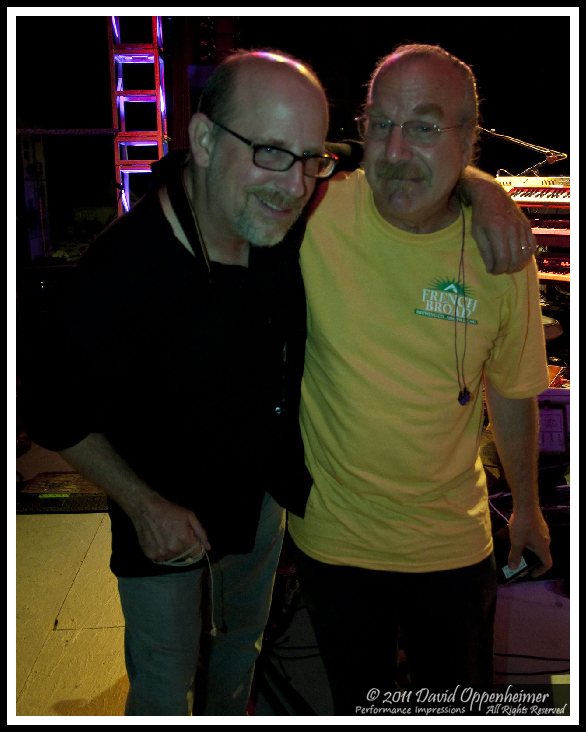 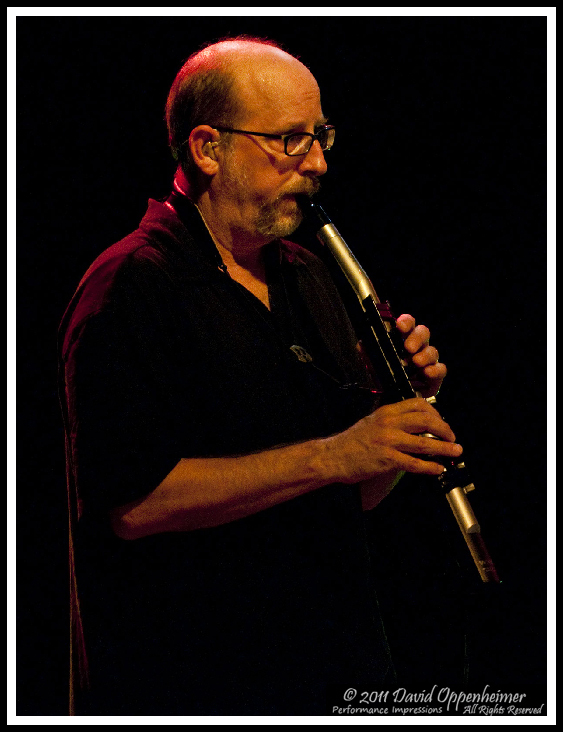 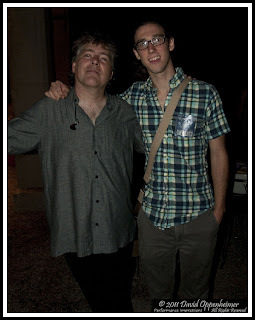 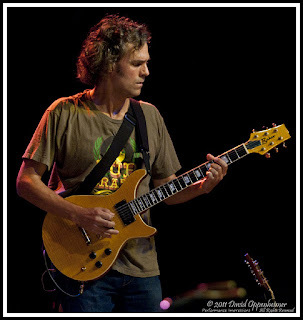 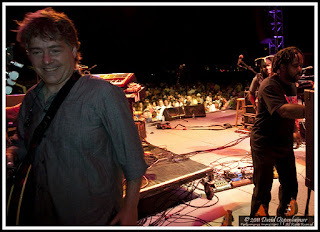 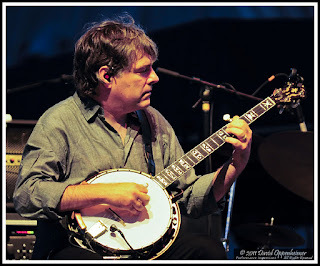 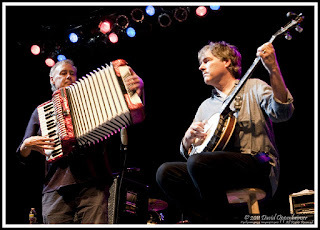 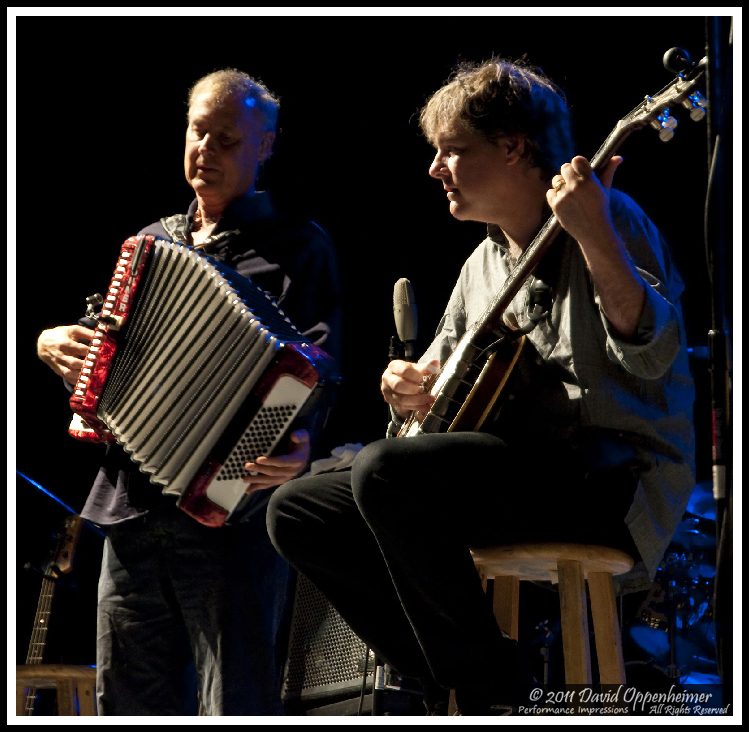 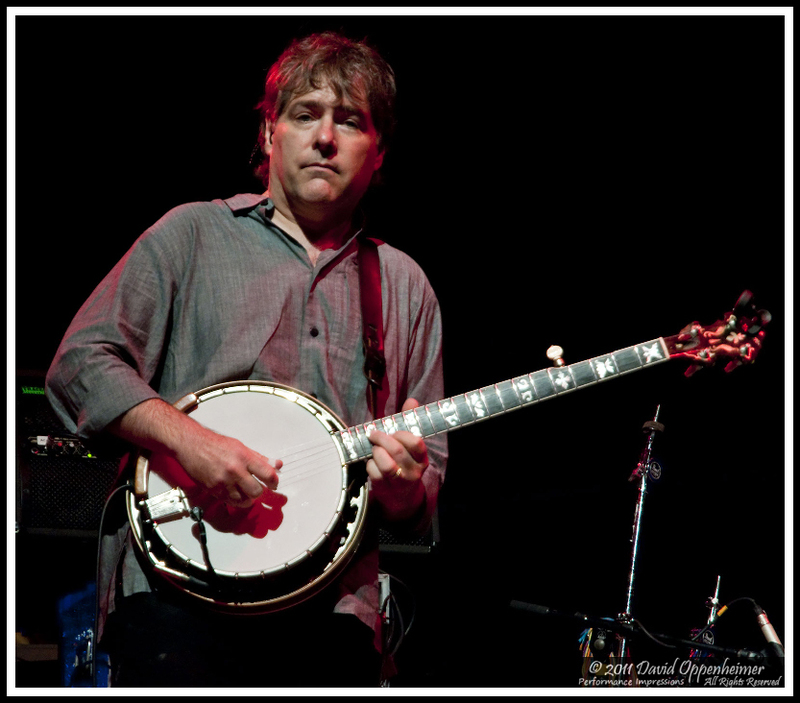 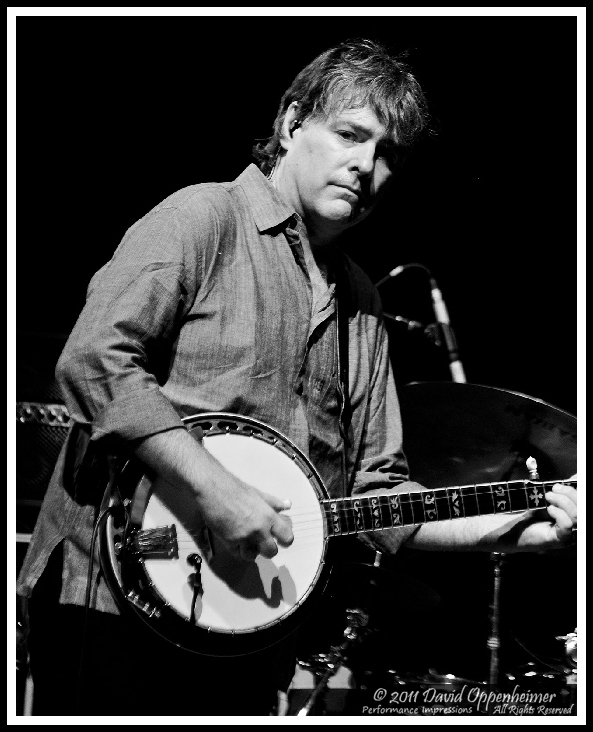 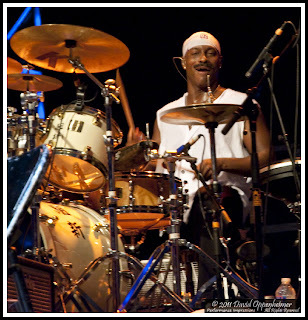 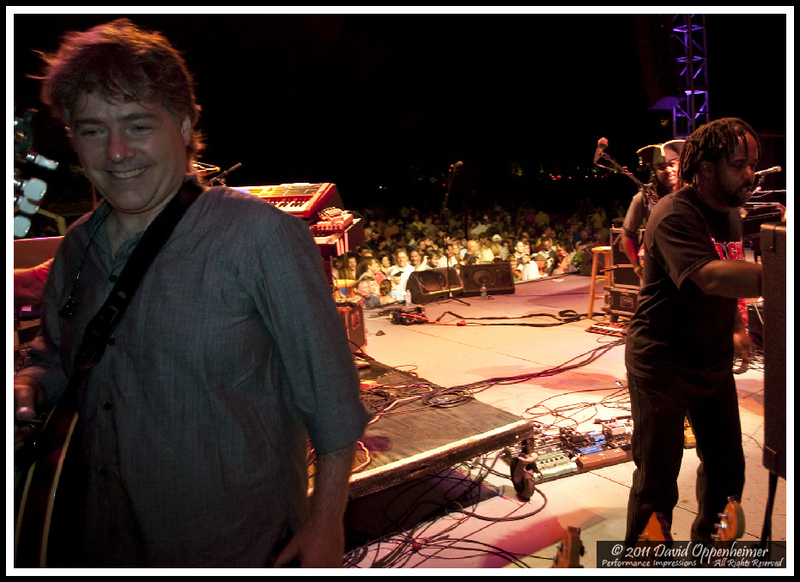 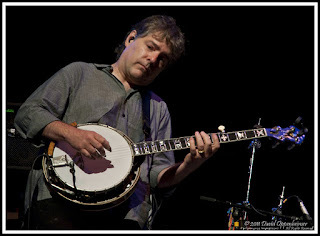 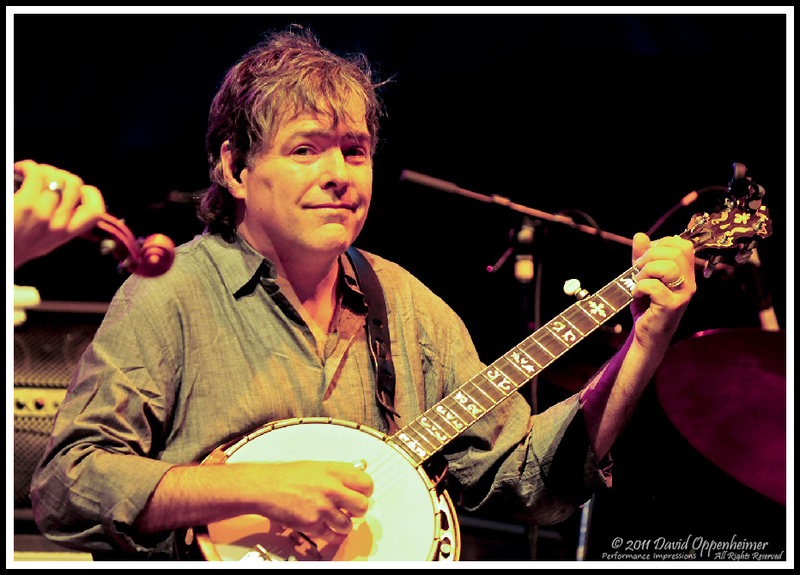 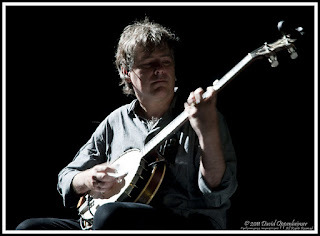 Bruce Hornsby came out to perform with Béla Fleck and the Flecktones and Béla Fleck came back onstage to perform with Bruce Hornsby and the Noisemakers. 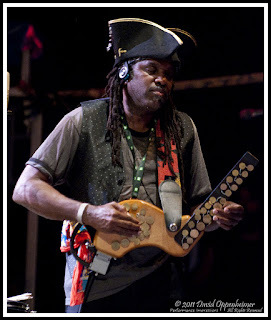 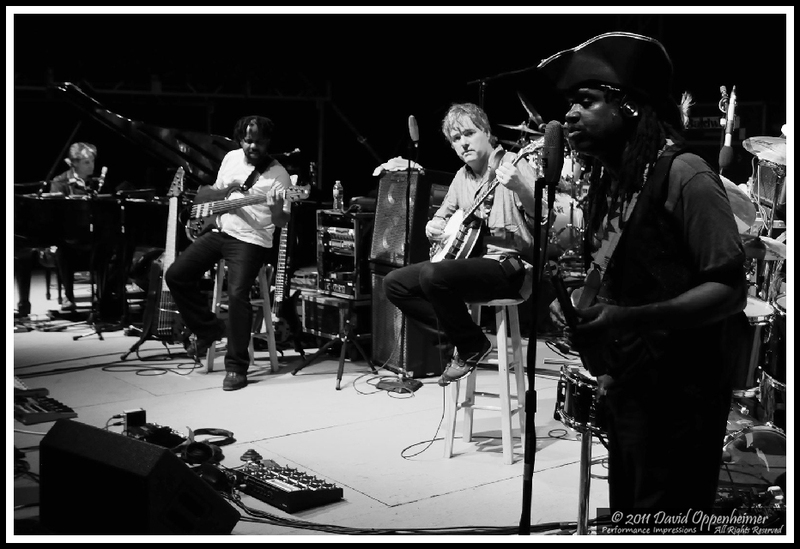 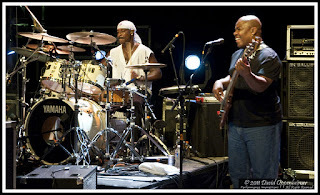 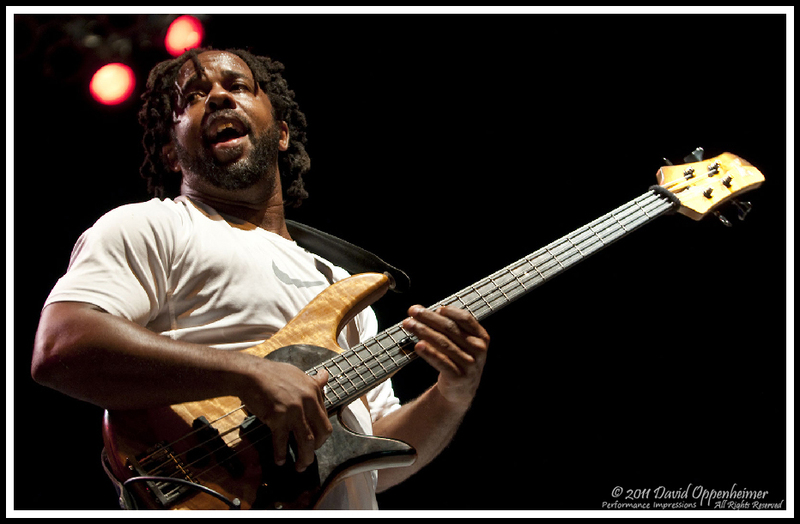 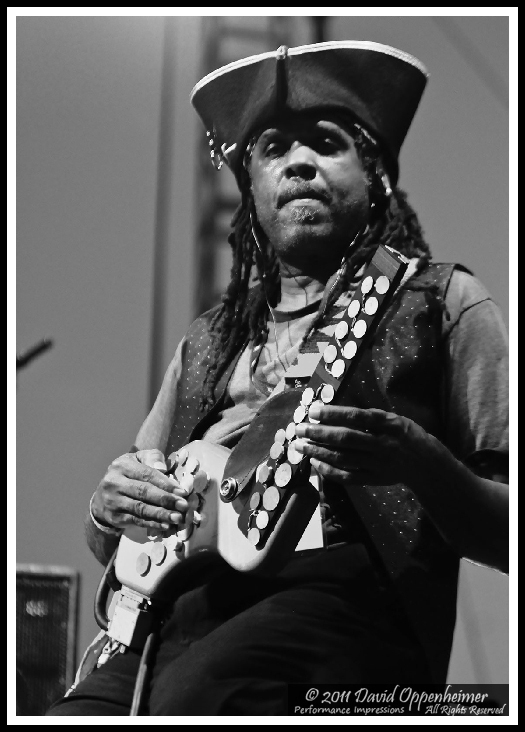 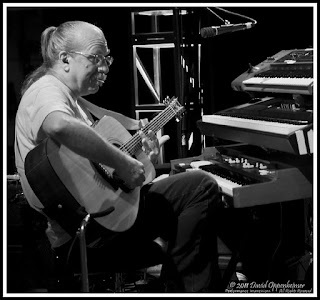 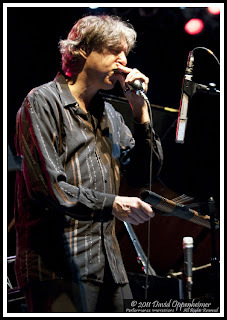 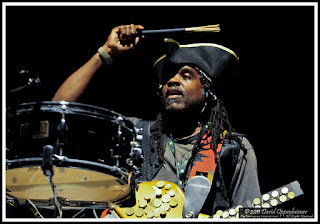 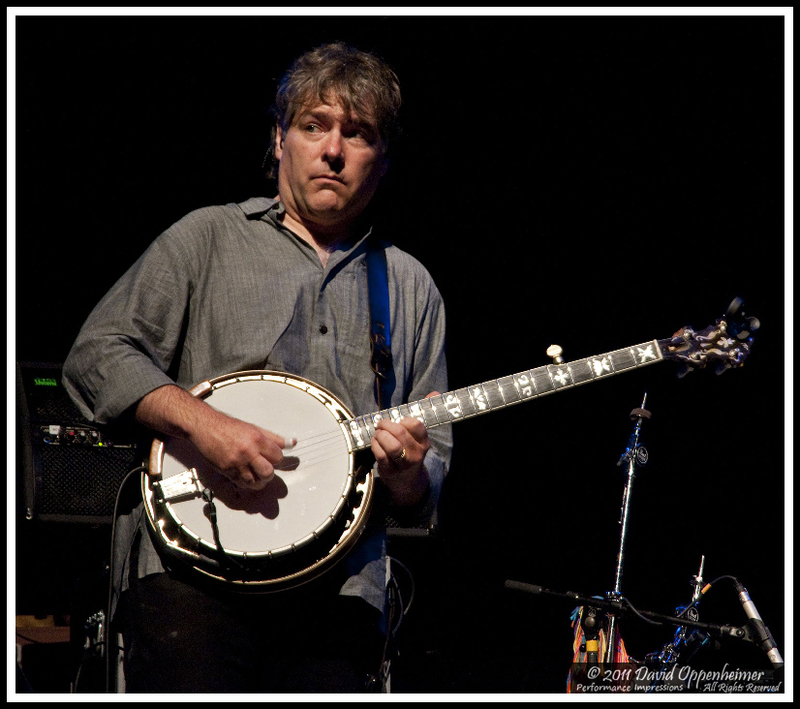 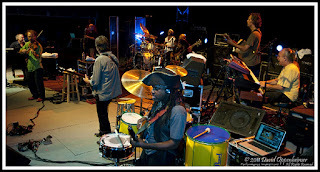 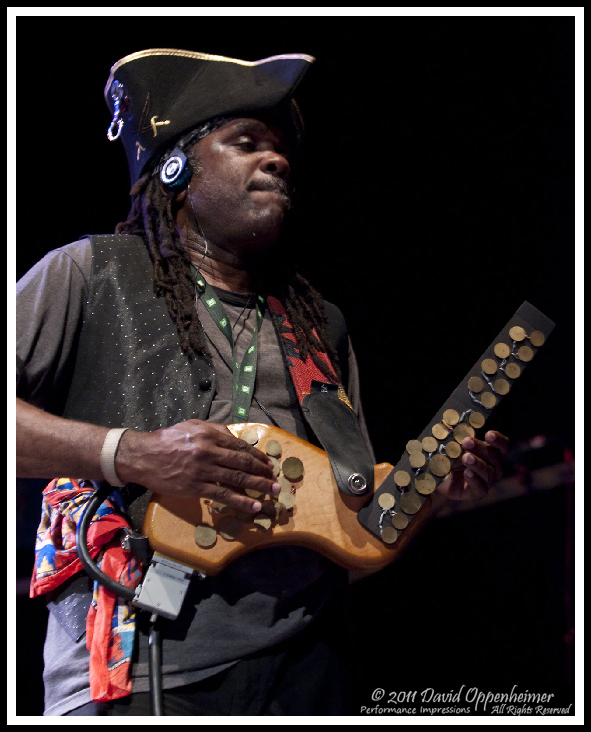 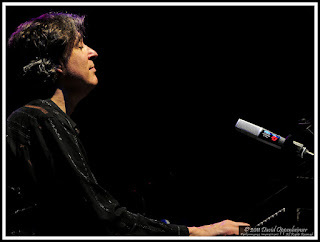 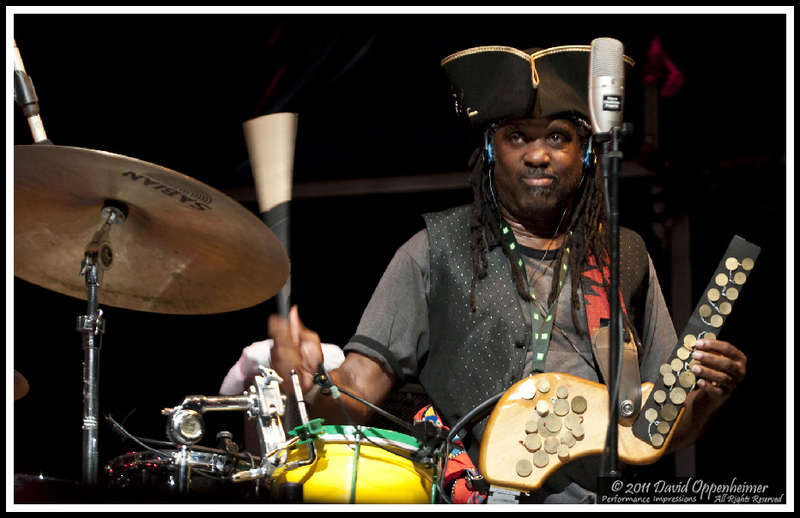 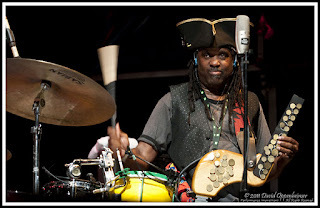 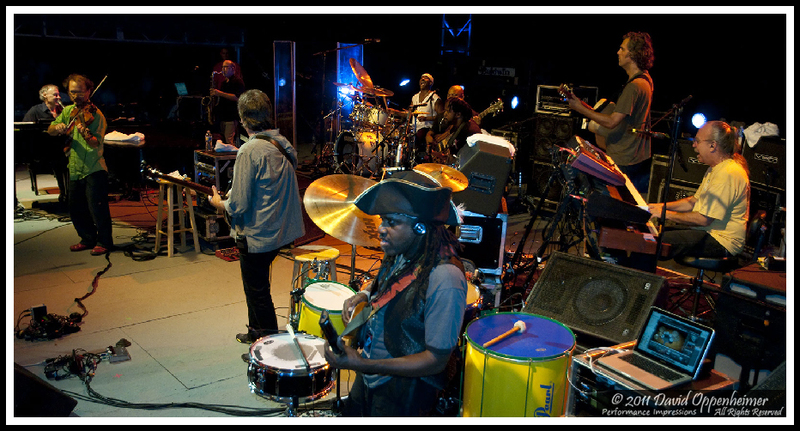 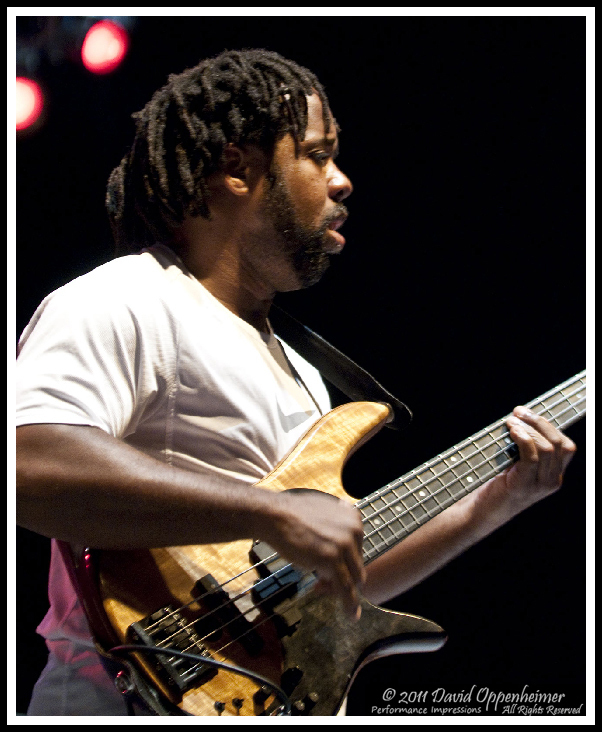 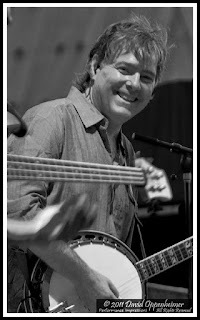 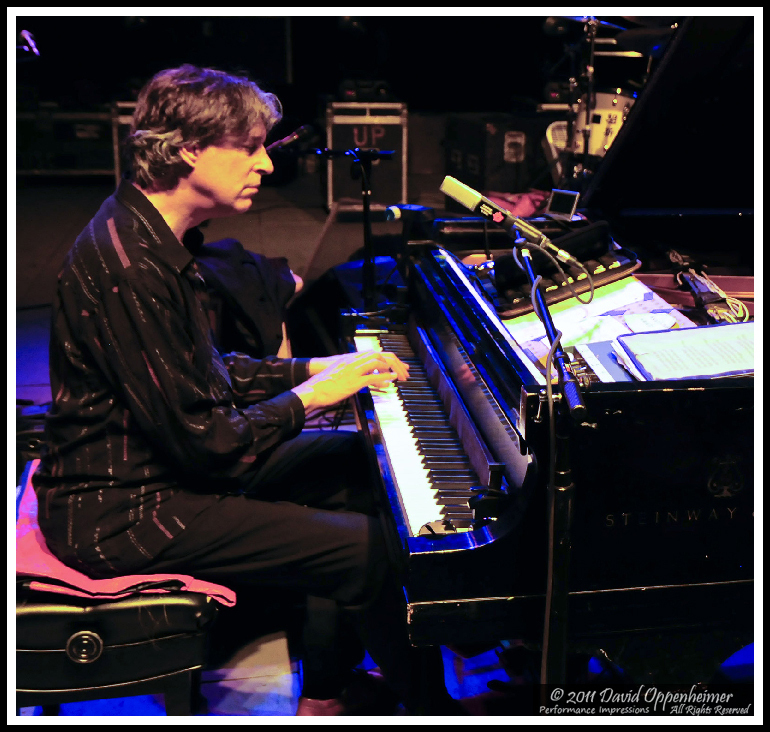 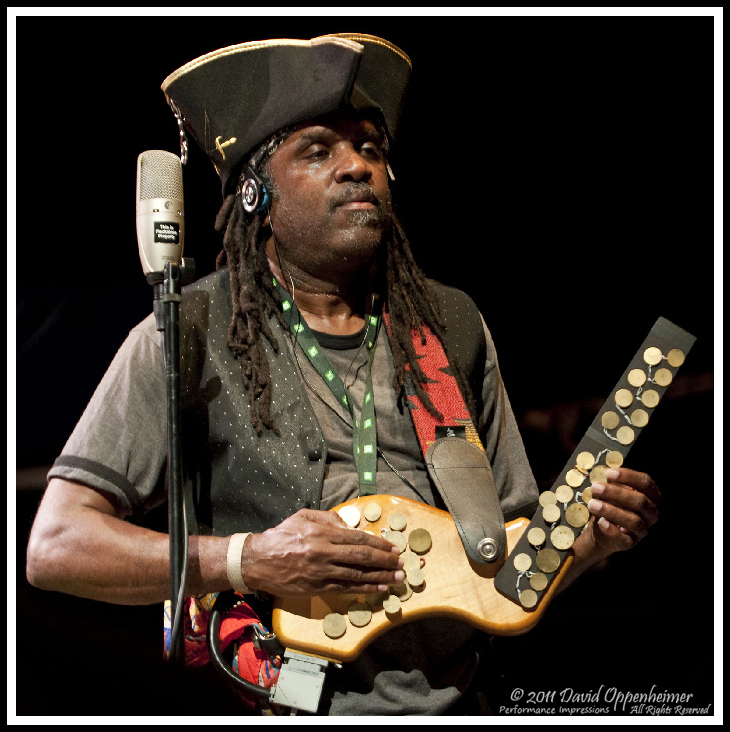 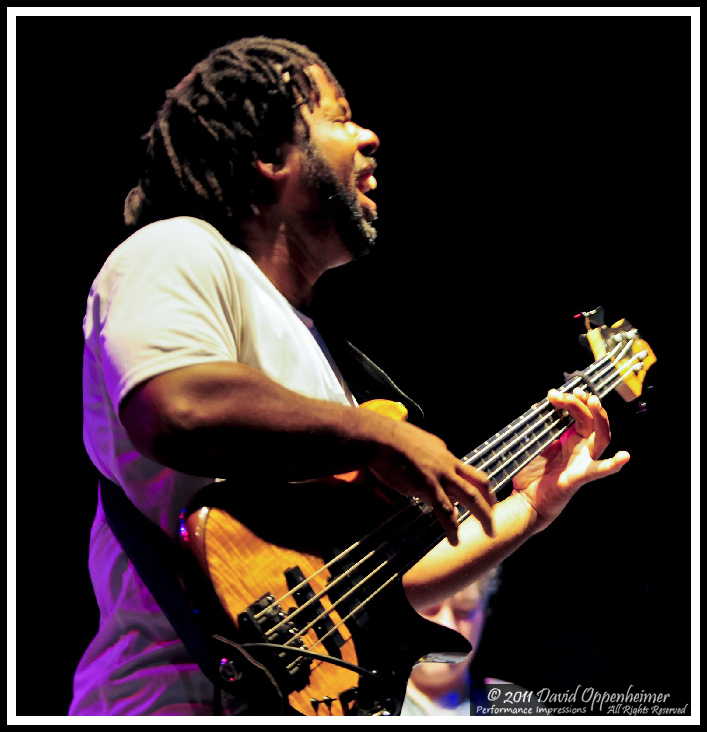 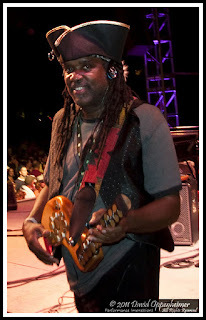 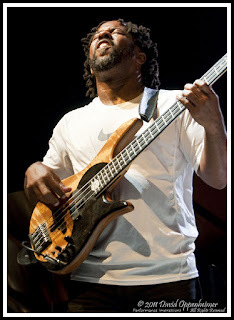 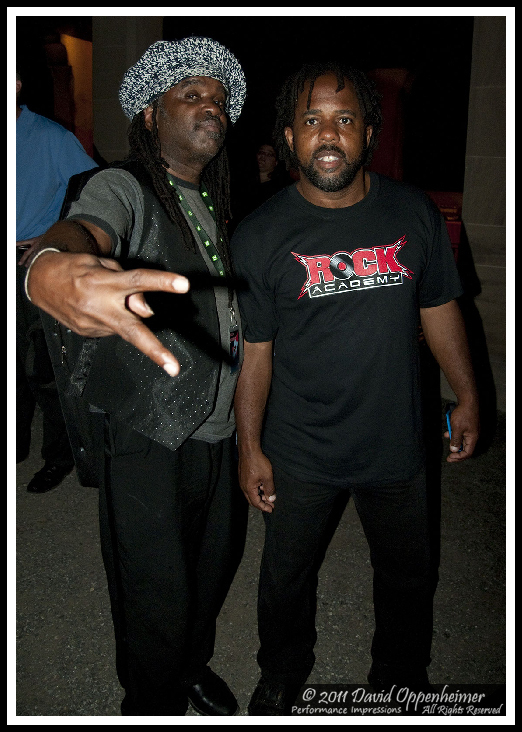 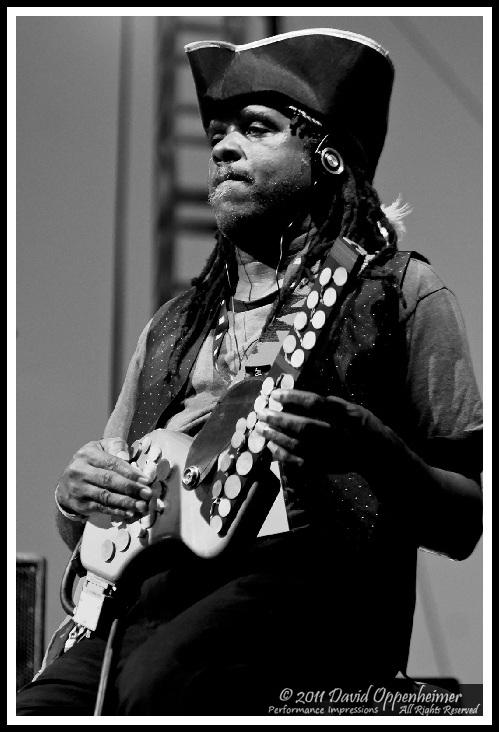 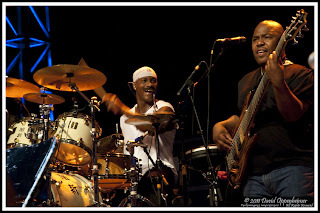 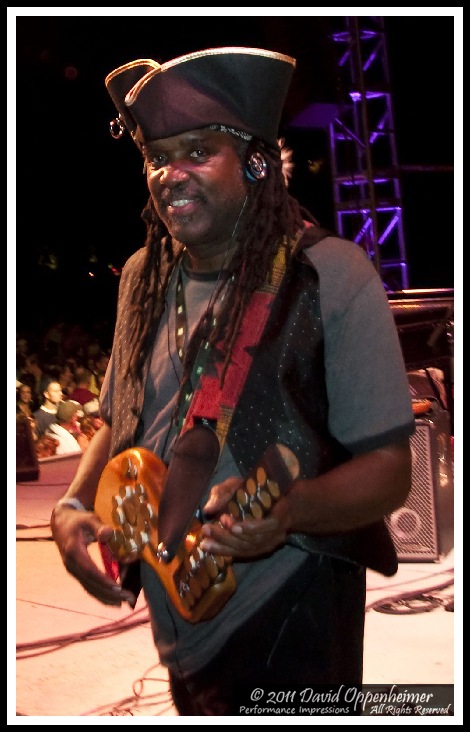 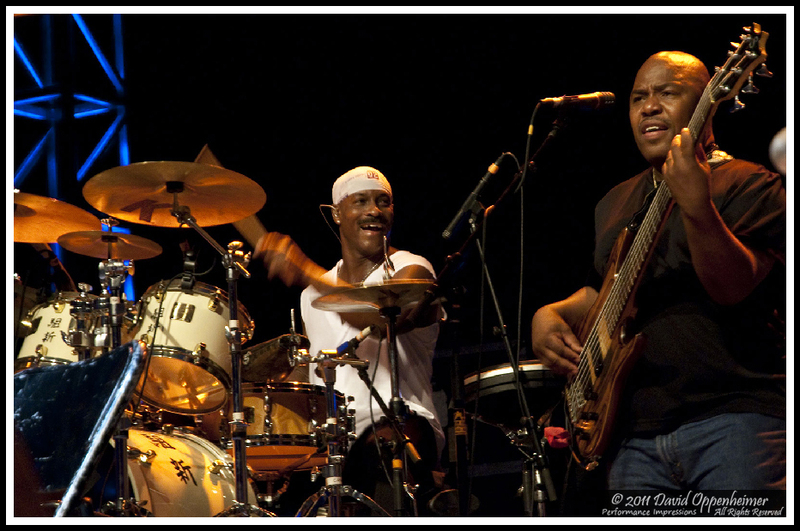 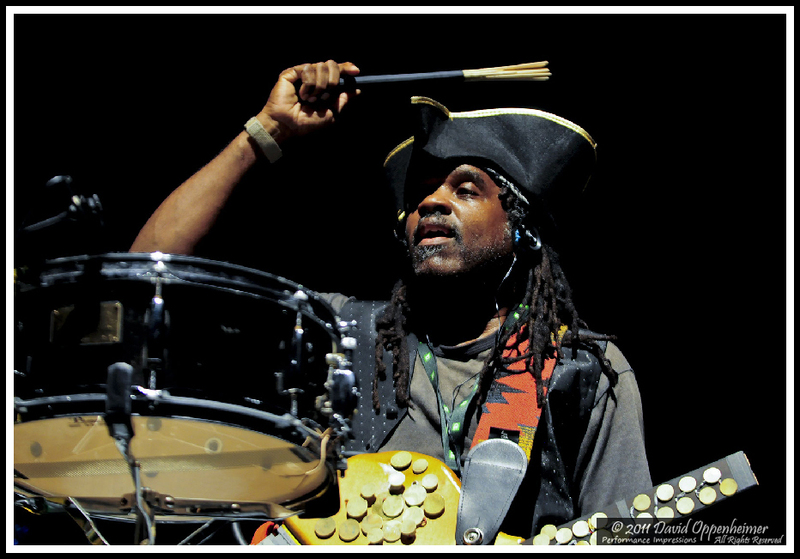 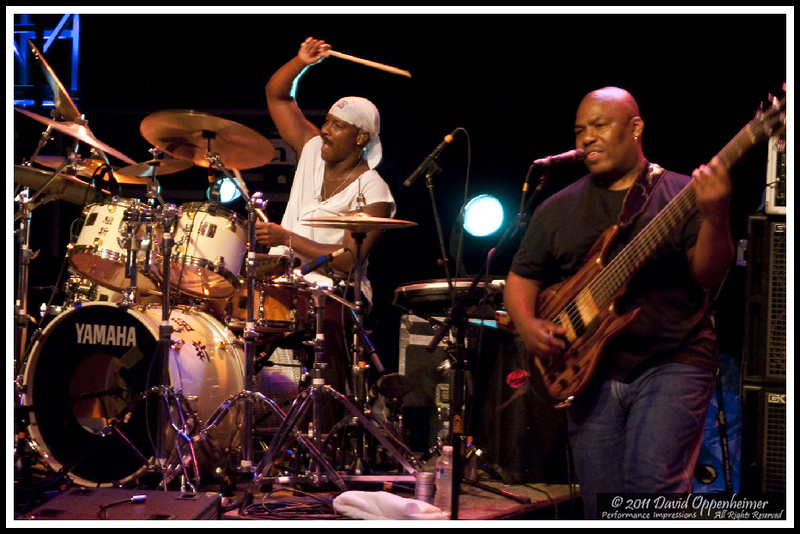 Howard Levy was back with the Flecktones and with their original lineup, the band put on a high class show at a special venue. 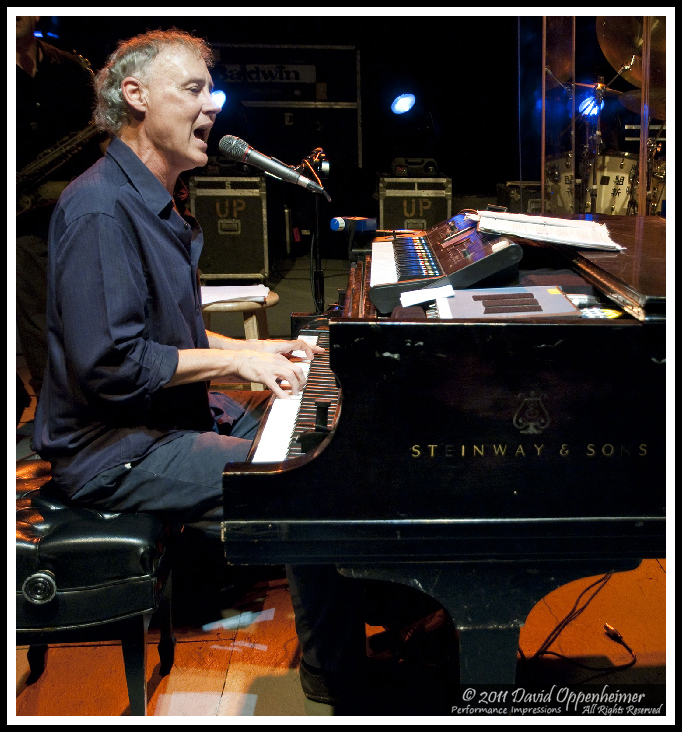 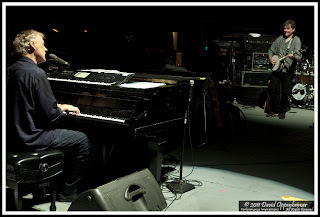 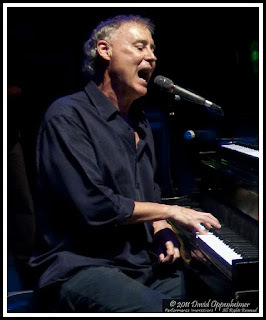 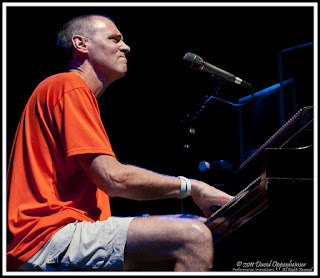 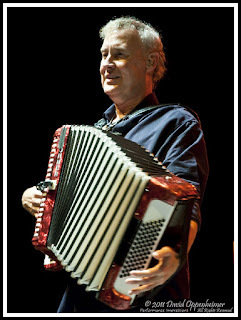 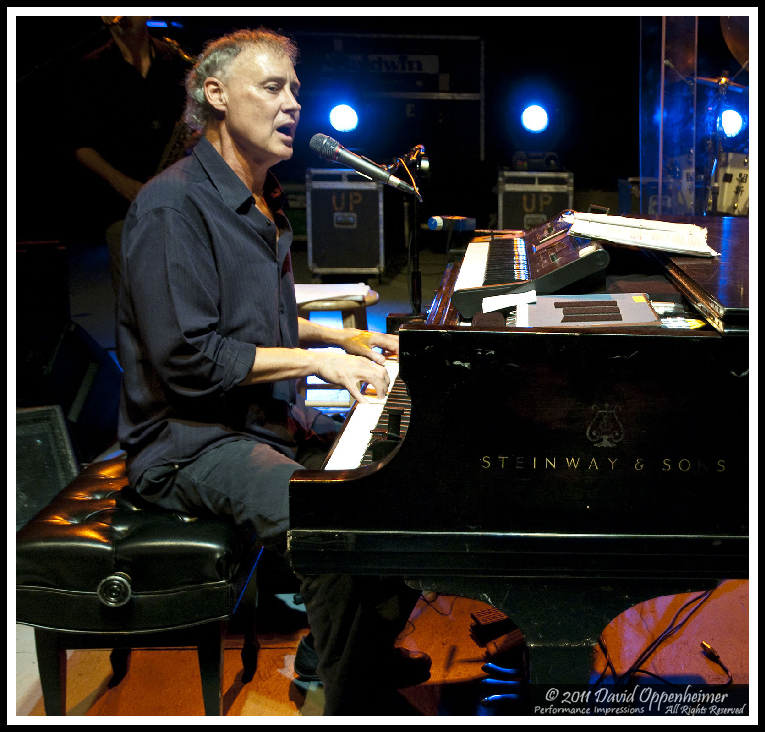 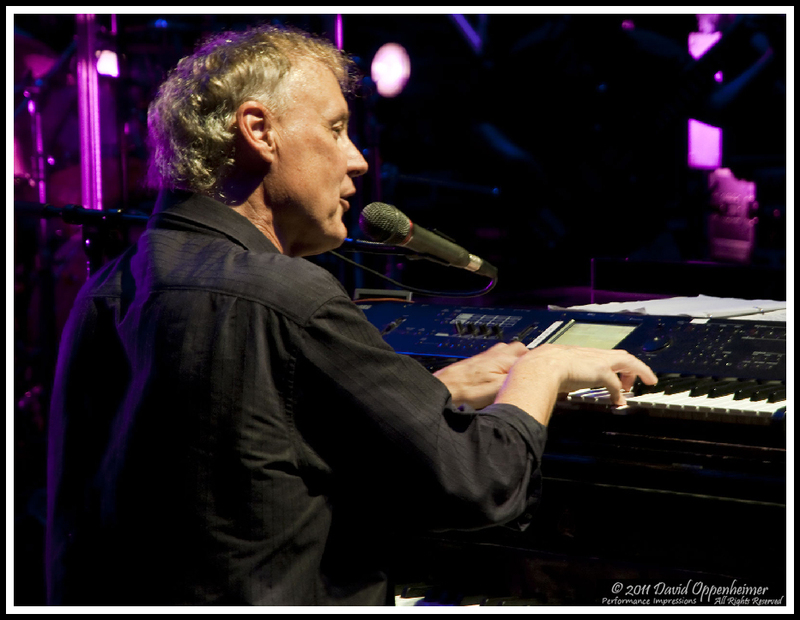 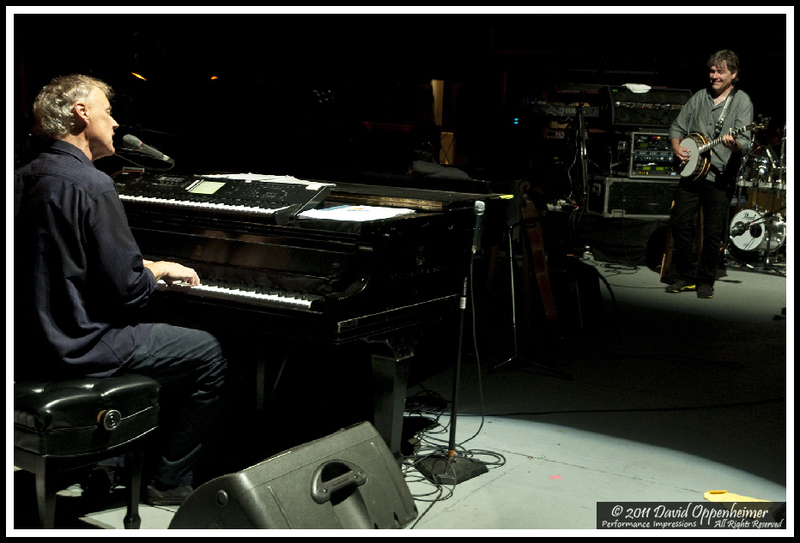 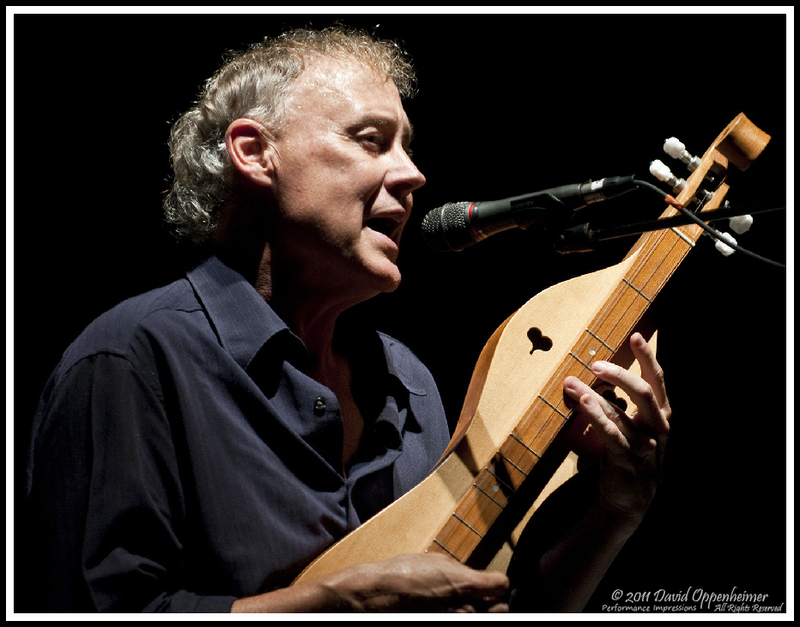 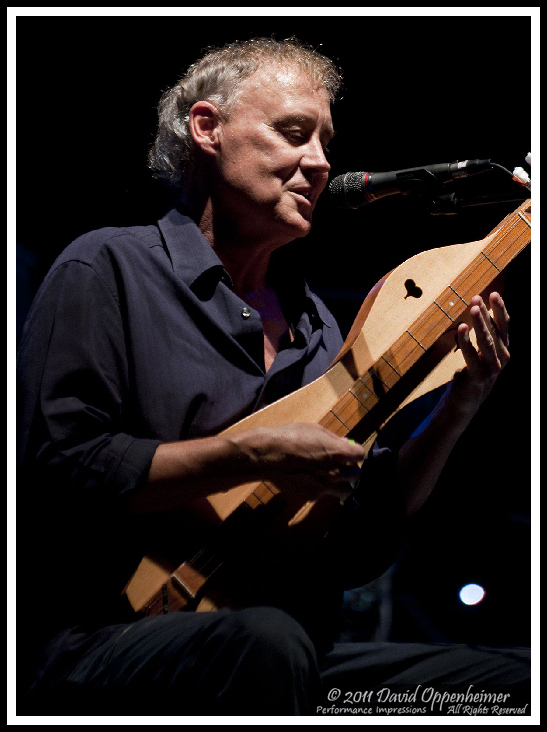 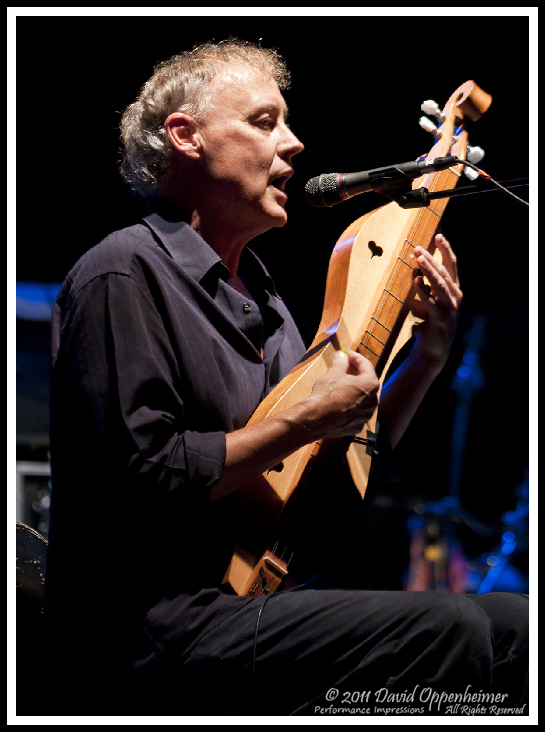 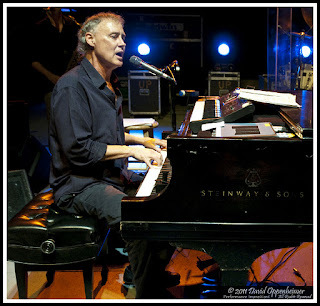 Bruce Hornsby performed on the accordion and dulcimer as well as his Steinway & Sons piano. 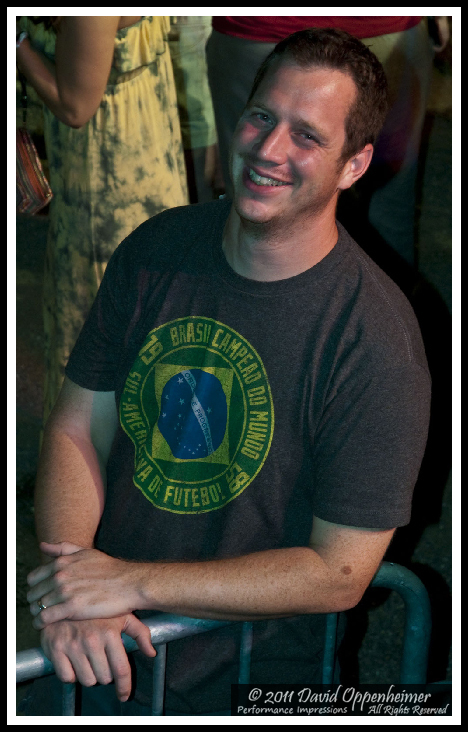 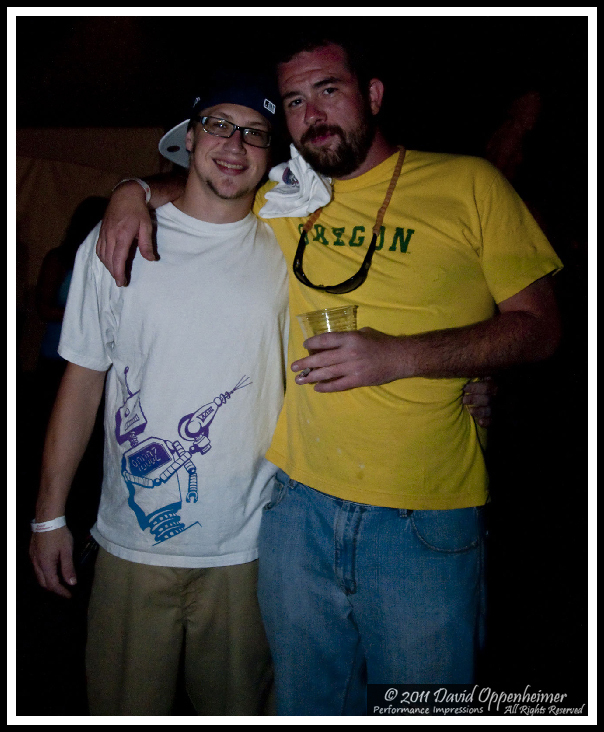 Click any photo to start slideshow, then click on photo to go to next shot.